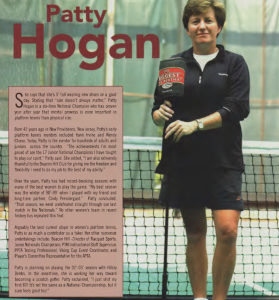 Although slight in stature, Patricia M. "Patty" Hogan stood tall in the world of platform tennis as a champion, a coach, and a leader who contributed significantly to the growth and development of the game. 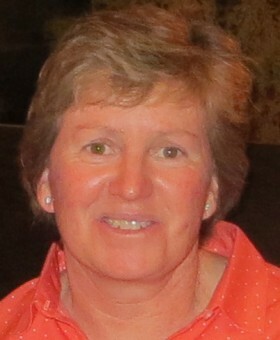 Hogan won a Women’s National Championship, three Mixed National Championships, and the Women’s National 40+ championship. She was Chair of the APTA Women’s Player Committee, and President of the USA Professional Platform Tennis Association (PPTA). She was a true ambassador for platform tennis. Off the court, Hogan was a tireless promoter of Junior programs and is credited with revitalizing the National Junior Championships and securing the Marsh corporate sponsorship. A kid at heart, Hogan has a special way of relating to each child with her enthusiasm. The growth of Junior paddle is inexorably linked to Hogan’s commitment and personality. Her administrative contributions to both APTA and PPTA required extensive phone networking and paper work, in addition to on the court supervision during certification of platform tennis professionals. Her leadership was never more evident than in the difficult post 9/11 days, when she galvanized a community to honor the tragic passing of dear friends. She literally set the standard when it comes to going the extra mile. Her dedication and drive set her apart. She was always happy to share knowledge, ideas and her experience with others. Her creativity and adaptability are two of her greatest assets as an instructor and as a competitor. 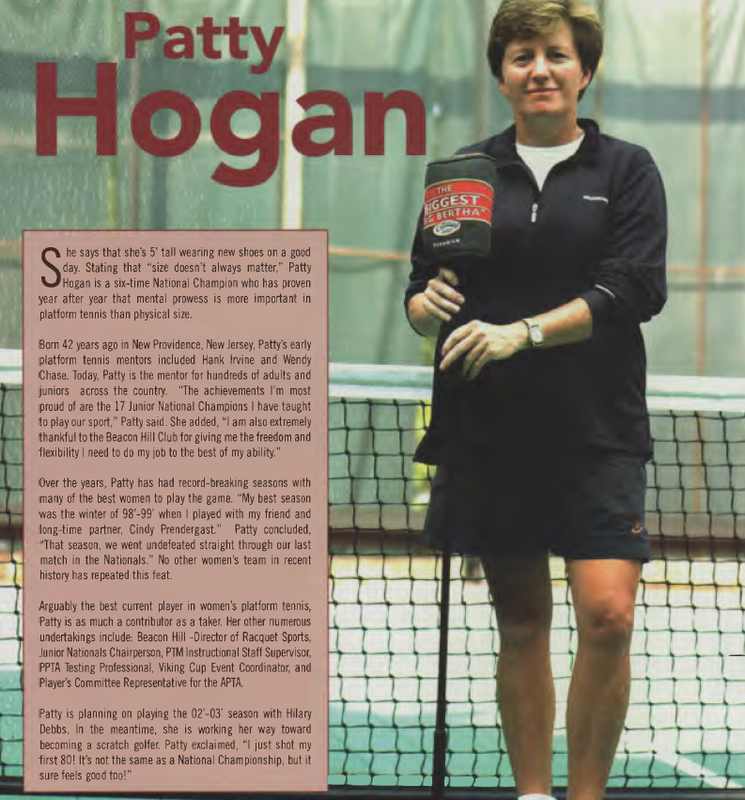 The Hall of Fame charter states that recipients must demonstrate ‘a high level of integrity, sportsmanship, and consideration for others” and “thus earn the respect and admiration for their endeavors in platform tennis.” Patty fits this description perfectly. 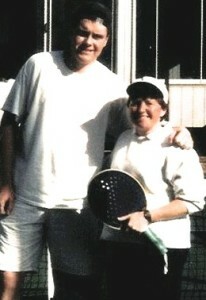 The 1990, 1991 and 1995 Mixed Champions, Patty Hogan and David Ohlmuller. 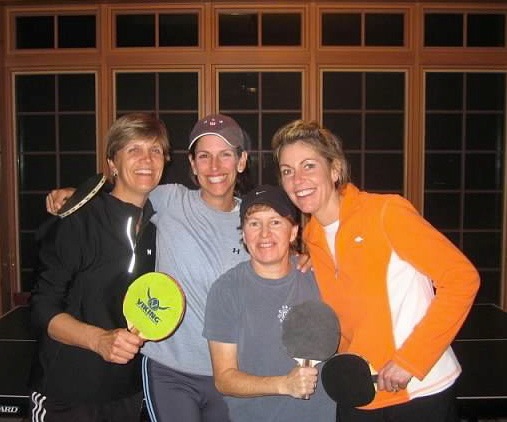 Hall of Famers Doten (2014), Keane (2014), Hogan (2005) and Nathalie Lemieux having fun with another racquet sport.